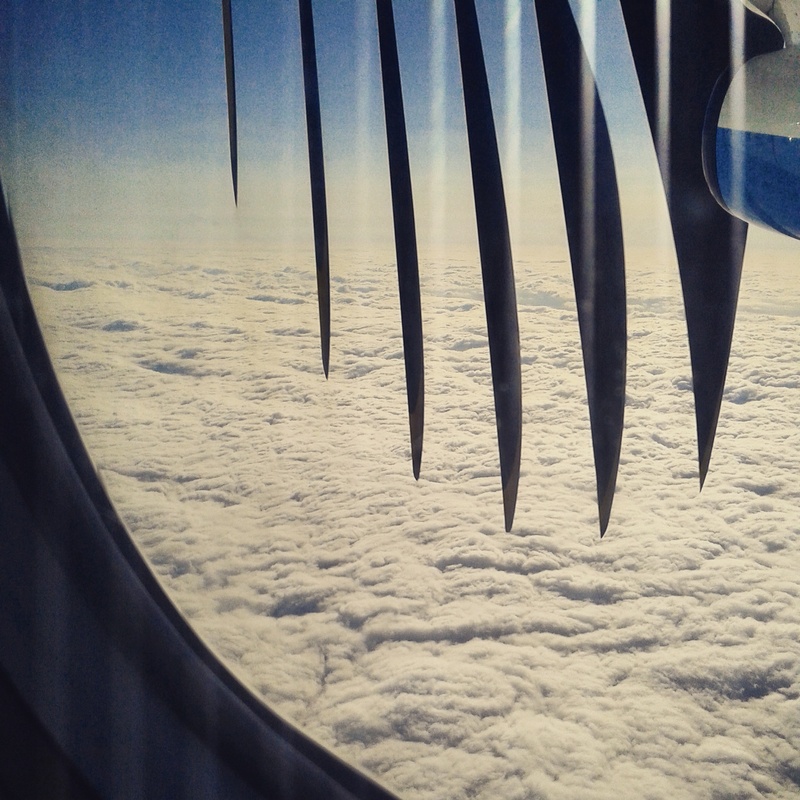 Sinking through the fluffy marshmallow clouds hovering above middle-England, the vast expanse of blue seen from the cabin windows of our propeller powered plane was sorely replaced by a dreary grey mist. My final destination was Gunwharf Quays, a formal naval dockyard situated in Portsmouth Harbour on the southernmost coast of the British Isles and to get there I would have to take trains through the Hampshire heartland. Wheeling my bag out of Southampton Airport I was pleased to find the train station just a small number of strides from the exit; or as the handy banner above the walkway more accurately put it: ‘99 steps from train to plane’. I arrived at the platform feeling like I’d beaten some form of video game level having only taken 96. Win! There were two men in front of me waiting patiently as a third was having a physical scuffle with the ticket machine. It was refusing to accept his £5 note and he was sure letting it know his true feelings. The well-dressed gentleman at the front of the queue pointed out to this ruffian that it might be because the machine only accepted cards and coins, to which the guy replied: “That’s simply preposterous”; before clambering over the bridge to try his luck on the adjacent platform. Back on Platform 2 I noticed that the next train to Southampton Central was direct with no stops, and therefore came to the conclusion that no ticket would be required anyway. All a conductor would do is request that you disembark at the next station, which happened to not only be the place I was heading already, but also the end of the line. We had 15 minutes to wait for this however, so tucking into my copy of Paul Theroux’s aptly titled ‘The Great Railway Bazaar’, a chronicle of his journey from London to Kyoto by train, I attempted to ignore the angry ticket man who was now back on my side of the tracks and shuffling along the platform like it were a catwalk runway for junkies. It quickly became apparent that he must have escaped from a nearby lunatic asylum as he began to try and engage every single other bystander in a conversation about the ridiculous lag times between journeys. When the train did eventually arrive 5 minutes later he could have parted the red sea with the middle carriage, everyone darting to the furthest away seat they could find, myself included. At Southampton Central I had to switch trains to Portsmouth Harbour and again found myself chancing an arm with the ticket inspector. Slinking my way past the man guarding the station gates I managed to board the rear carriage where I shoved my case in the luggage compartment and tucked myself back between the pages of my book. It was to my good fortune, being in no rush to arrive, that the train had been delayed by 15 minutes back up the line. This led the on-board staff to prioritise other issues such as the doors being jammed and the toilet being out of order and when we began to chug our way out of Fernham station 20 minutes later I knew I was in the clear.